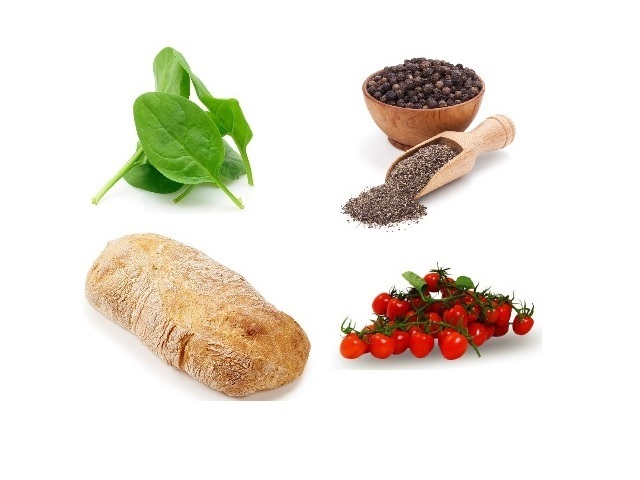 How to make 4 people niçoise salad of bacon and cheesy croutons? 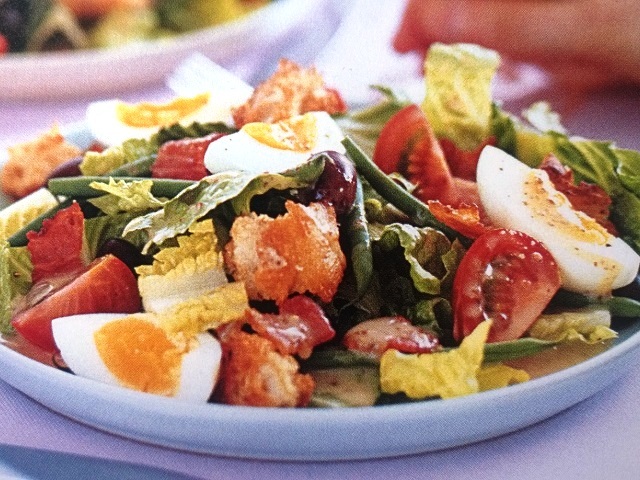 Niçoise salad of bacon and cheesy croutons recipes and ingredient shared on our page. 1. Preheat oven to 220°C (fan 200°C), gas 7. Put the ciabatta pieces in a roasting tin, add the oil and turn to coat. Scatter over the cheese, season with pepper and mix. Stir in the chopped bacon. Cook for 15 minutes. 2. Meanwhile, add the green beans to a small saucepan of boiling water. Cook for 2 minutes, then drain and plunge into cold water to cool. Drain well and set aside. 3. Divide the lettuce between four plates. Top with the green beans. Tomato wedges, olives, the cheesy ciabatta croutons and the bacon. Season. 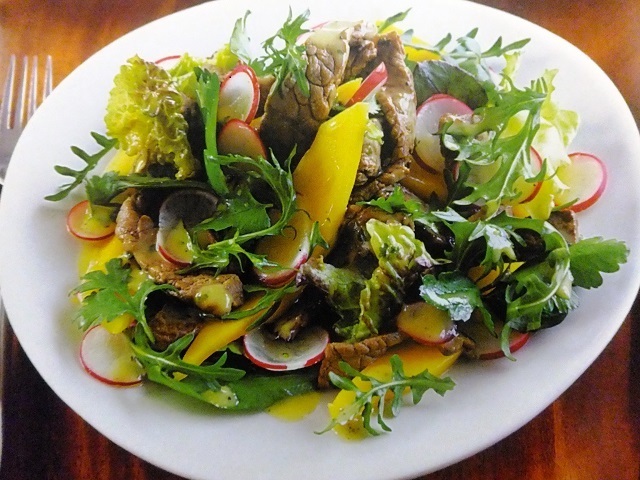 Peel and cut the eggs into wedges and scatter over the salad. Drizzle with French dressing to serve. (Make the croutons the day before, put in an airtight container and store in a cool place.) Your enjoy meal!